Keynote speaker Robbie Melton talks to the audience about advancements in technology and shows some of the gadgets she owns. Photo by Luis Garcia. Audiences listen closely to Robbie Melton as she encourages them to think of their technology in a different way. Photo by Luis Garcia. The California State University, Northridge campus community invited faculty and staff to the seventh annual Technology Fair on May 11 at the University Student Union Grand Salon. 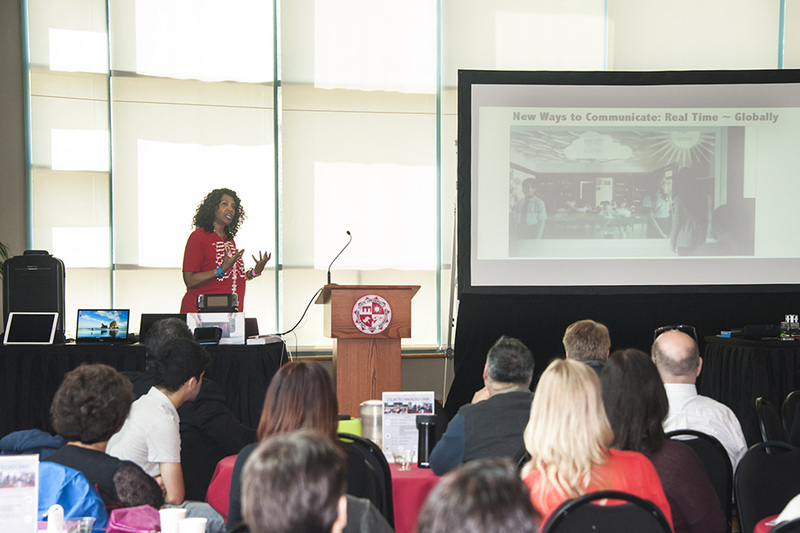 The fair familiarizes faculty and staff with new technology trends in higher education. This year’s tech fair, organized by CSUN’s Department of Information Technology, featured tables with representatives from vendors such as Microsoft, Lynda and Apple. 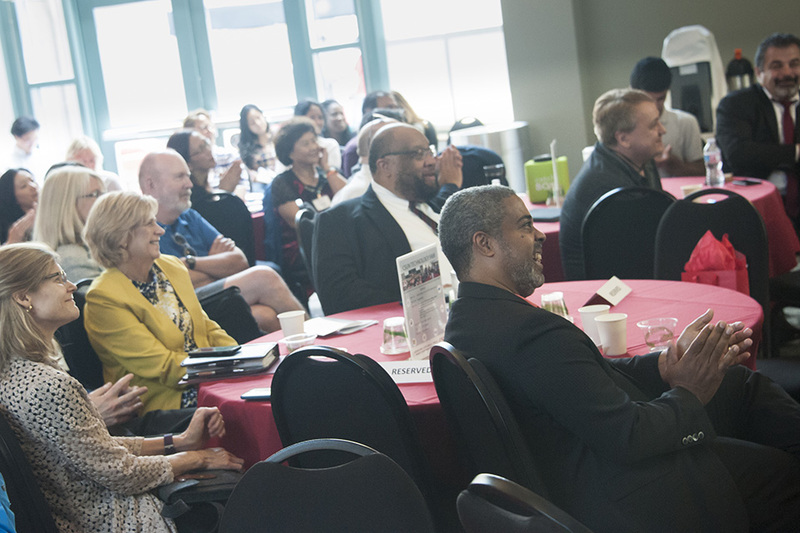 The event also included a lecture from Robbie Melton, a special education teacher and associate vice chancellor of mobilization and emerging technology for the Tennessee Board of Regents. Melton’s presentation titled The Emergence of the Internet of Things, Smart Connected Devices and EduGadgets for Real-Time On-Demand Transformation of Education, covered different types of technology and explained the importance of technology in classrooms. Melton said even though there are millions of apps, only 30 percent are education-based. To bridge this gap, she encouraged the audience to look at their smartphones differently.